This recipe is adapted from Mark Sisson's latest cookbook, The Primal Blueprint Cookbook, at www.marksdailyapple.com. It's delicious and keeps beautifully for a week or so (It's never remained uneaten longer than that!) and incorporates several types of leafy greens that I simply don't use enough. 1-2 lbs. 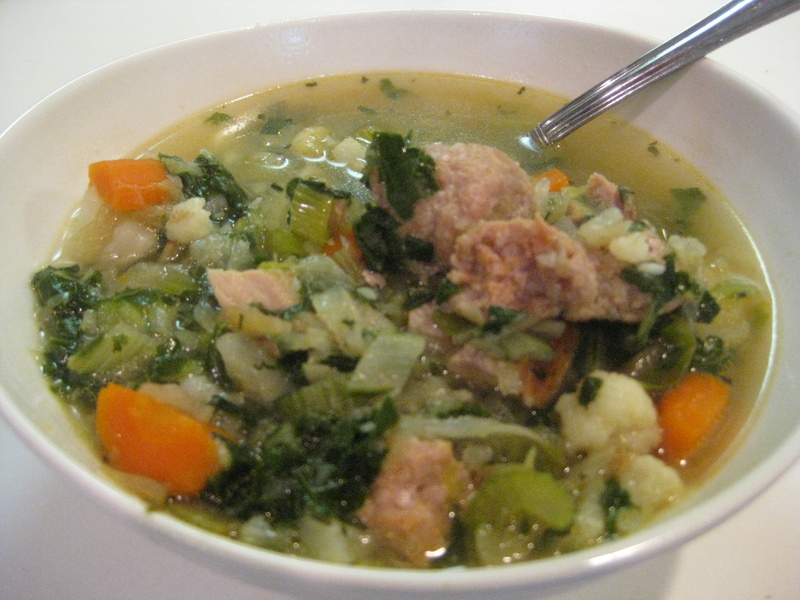 Italian sausage (sweet or spicy, depending on your preference), to be cooked in small chunks. Begin heating the vegetable broth in a large pot. Cook the chopped bacon in a skillet and add onion after a few minutes. Cook until onions are translucent. Once the veggie broth is simmering, add any extra meat from the fridge, onions, bacon, celery, carrots and cabbage. While the broth continues to simmer, cook the sausage chunks in a skillet (should take 15 minutes or so; test chunks for doneness). 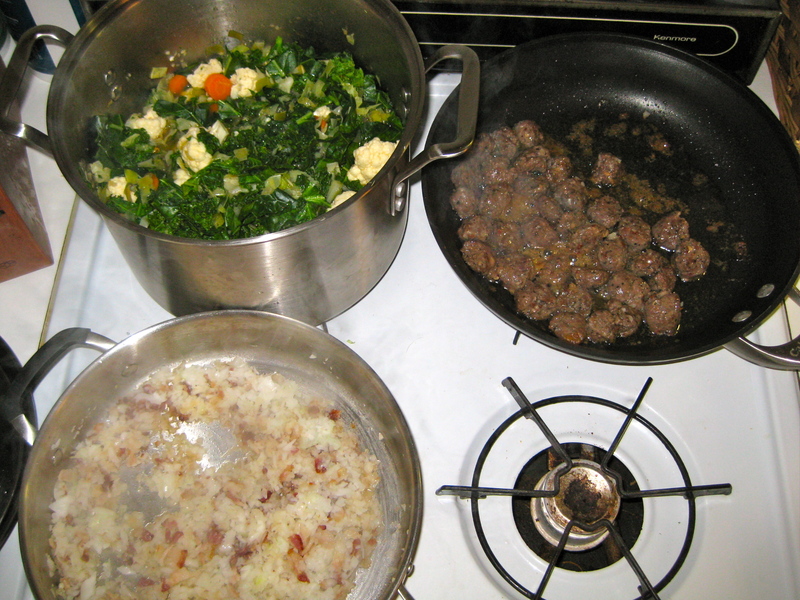 Once sausage is done, add to broth with cauliflower, greens, garlic and dried parsley. Continue simmering until you're satisfied with the condition of the veggies and greens – Husband likes them more wilted so I simmer another 20-30 minutes. Add broth if you like.